Streaming has been blamed for killing off the CD, but industry experts agree it's helping bolster the growth and quality of another physical music format: vinyl. Since 2015, streaming income has eclipsed CD sales, and the likes of Apple Music and Spotify have become major players in the music industry. This year the Recording Industry Association of America reported that 75 percent of music revenue in the United States came from streaming services. In the past three years, vinyl sales in the US have steadily risen about $2 million annually. On paper, it doesn't make sense. Why would anyone buy an album they can only listen to in one specific environment, when for half the price of a new record, they can put it and millions of others in their pocket and listen anywhere? "It's a completely inconvenient way to listen to music, it really is," Caren Kelleher, founder and president of Gold Rush Vinyl, said. Before starting her own pressing factory in Austin, Texas, Kelleher was the head of music-app partnerships at Google and a band manager. Kelleher and other experts at the recent Making Vinyl conference in Detroit agreed that streaming and vinyl are complementary rather than competitive. As a consumer, it's a lot harder to take a risk on a $30 record you think you might like when a Spotify subscription costs $10 per month. "Vinyl is not a discovery format," Jessa-Zapor Gray, vice president of marketing for Intervention Records, said. Comparatively, the most expensive streaming subscription -- Tidal HiFi -- costs $20 per month. For the price of one record, you get access to some 60 million songs in Tidal's catalog and high-res streams. That value proposition is hard to ignore, more so if you opt for a lower-cost service like Spotify or Apple Music. No one likes wasting money, and even when vinyl was the dominant format, not every album was worth buying. Chances are, if you form a connection with an artist you happened upon via streaming, you're more likely to buy a physical version of their music. Log in to Spotify and you're immediately presented with music you might not have heard. There's no risk rolling the dice on the album that surprise dropped this week and your social feeds are raving about -- even if you don't typically listen to Lil Wayne. "The best discoveries come from the unexpected," Matthew Fiedler, CEO of record-of-the-month club Vinyl Me, Please, said during a panel at the event. The problem is that algorithms by design deliver things you probably already will like. Conversely, a friend or record-store clerk will offer personal recommendations out of left field you'd never have heard otherwise. Fiedler, along with musician/Third Man Records founder Jack White and many others, feels the formats are mutually beneficial: Streaming is a good method for discovery while vinyl is for investing in the artists and albums you love. The unfortunate side effect is that streaming has commoditized music. Every music app more or less looks the same, and you pick tunes much like you would scan your inbox, by dragging your finger through a list of data. But it fills a vacuum in an era when terrestrial radio is no longer a reliable way to discover new music. During vinyl's heyday, 45RPM singles were everywhere. Artists would put out three of them, then a full-length album. They didn't sound great, but they were cheap and used to drive full-album sales. Now many major labels intensely focus on streaming because it means bigger profits for them, less risk and no costs from producing vinyl. Bruce Ogilvie, the chairman of physical-media distributor Alliance Entertainment, mentioned the lack of vinyl releases for some of this year's biggest albums like Drake's Scorpion and Cardi B's Invasion of Privacy as examples of the music industry prioritizing streaming. Before leaving Google, Kelleher gave a presentation about why artists were frustrated with low royalty payments. One slide, in particular, caused a stir: the payout difference between physical and streaming. Her data showed that the average independent artist needed 2.5 million YouTube views or 368,000 Spotify streams to make the same amount as selling 100 vinyl records. "Their eyes just popped out of their heads," she recalled. "I tried to [illustrate the data] as an infographic, and I couldn't fit it all on one slide." Without knowing how much the artists charge for the records or the quantities they're buying, it's hard to verify that claim. For 300 black, standard-weight, 12-inch records with a standard jacket, plain sleeve and shrink-wrap, Universal Record Pressing quotes the job at just over $2,000. Each record costs about $6.91 to make, and bands typically charge $25 at the merch table. That's $5,427 profit on the batch or $1,809 per 100. According to Kelleher's data, Spotify pays artists $.007 per stream (the reality can be more or less, depending on whether someone is a paid vs. an ad-supported listener), which equals around 260,000 streams to hit the $1,809. So the figures don't quite add up, but that doesn't matter. Spotify pays less per stream than Apple, and Pandora pays less than Spotify. Likewise, if you double the order size, the per-unit cost of vinyl drops by more than 60 percent. The point is, selling a few hundred records per month can keep an artist afloat, and you can't say that about a few hundred streams. Unfortunately, albums leak. The three-month gap between a record's journey from studio to retail only allows more time for that. It's why Eminem's Kamikaze or Kanye West's Ye were released to fans via Apple Music and Spotify by surprise, mere hours after they were finalized. That couldn't happen in a physical-only era. Until we get to the point where every new album arrives in record stores at the same time as the digital version comes online (a lofty ambition), don't expect big labels to prioritize vinyl even though it'd benefit their bank accounts. Vinyl may make an artist more money than streaming, but that's because vinyl costs so much more; it's a luxury item. Citing an industry poll, The Guardian wrote in 2016 that almost half of record buyers own a turntable they never use. Instead, they're making purchases dependent on packaging they can display in their home. That, in turn, is pushing boutique labels like Mondo and others to embellish their album design. "We've got a lot of labels now that are doing a lot to sell a package," Rob Maushund of Stoughton Printing told Engadget during a panel on the importance of packaging. The production planner described a recent reissue of Ennio Morricone's score for John Carpenter's horror classic The Thing. Waxworks Records asked for a slipcase that resembled an iceberg you'd have to "break open" to access the records. Try doing that with your iPhone. The package was a very limited run, and fan response was frenzied. Waxworks' co-owner told Maushund he'd gotten death threats because the pressing sold out so quickly. What was originally a $32 record resells for as much as $250 on eBay. Maushund said this is evidence that specialty packaging makes physical media more attractive to buyers than digital music. "It's making customers want more and buy more," Gray said. Ogilvie concurred. He mentioned K-pop group BTS as an example. Several of the Korean boy band's recent albums were released with bespoke physical CD editions packed with stationery, stickers, photos and even a diary. "Nobody's cracking them open and listening to the CD -- they just want the artwork. It's always been that way," he said. Fiedler said if labels rush to put out vinyl and don't take the time to assemble a package worthy of a new record's high price, customers feel shortchanged -- specifically if a label or artist charges $30 or more and cuts corners by not mastering an album for vinyl and ships it with a flimsy slipcase. "If you have a subpar product with vinyl, then it's gonna be hard to have that complementary experience," he said. 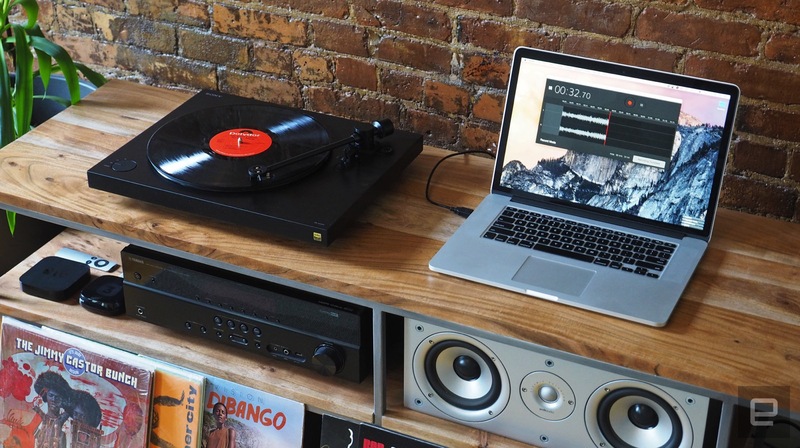 While vinyl can make more money for musicians, it isn't always a consumer-friendly format. Used albums are one thing, but a new single-LP album costs $20, on average. Add in fancy gatefold packing or multiple discs and the price climbs. Streaming and vinyl each has benefits. Streaming gets music into your ears faster and is ridiculously convenient while vinyl gives superfans something tangible to showcase their love for an artist. It also gives them a chance to hear it without the compression of typical streaming bitrates. While 160Kbps streams might not be the best fidelity, their lack of pops and scratches has had an impact on the ears of two generations -- millennials and those under 25 -- kids who grew up in the era of digital remasters, with CDs and MP3s as the dominant formats. In turn, that's driven innovation within the vinyl industry. When she was managing musicians, there wasn't much Kelleher could do if her client got a bad-sounding record. The plants were operating at capacity, and the alternative was to wait another six months. Now production time has halved, and thanks to competition and demand, it's getting more efficient every year. These days, record-pressing factories and equipment manufacturers are striving to create cleaner-sounding records as a direct result. "Digital music, in general, has led people to certain expectations about what music should sound like: clean and pop-less," Gray said. She said people are comfortable with the sound of an older, used record when they typically cost $10 or less. "But when you're getting new vinyl, you want something quieter," she said. The desire for something more is what's driving the music industry as a whole. Streaming revenues are up, and the value proposition of paying for a subscription will likely never disappear. The price for new records won't drop anytime soon either. Streaming was the byproduct of Napster. Now it's the predominant format and is helping musicians get paid for their work. It's no coincidence that vinyl's upswing charts a similar course with paying Spotify customers. Digital left a void, and superfans wanted to start reconnecting with the music they loved. Its homogenization of the art form unexpectedly pushed vinyl back into the zeitgeist and forced the aging industry to adapt to modern ears. You can bet Sean Fanning and Sean Parker never saw that coming. Update 12/4/2018 4:17PM ET: This article originally stated that Tidal had a catalog of 25 million songs. The story has been update to reflect the fact that Tidal has a catalog of 60 million.